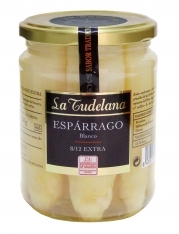 These white asparagus spears bearing the coveted DO Navarra label have a white color and soft texture, with very little fiber and a perfect balance of sweetness and bitterness on the palate. The cold nights in their area of production, together with the use of traditional farming practices, mean these are a real culinary treat. 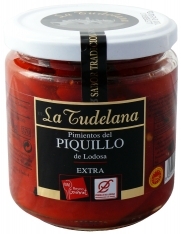 In Spanish, these are called, "Espárrago blanco D.O Navarra La Tudelana." 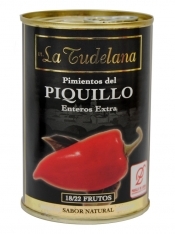 La Tudelana was born in 1986 as a family business, dedicated to marketing and distributing canned products. It aims to promote the consumption of Navarre's traditional vegetables throughout Spain, and the rest of the world.